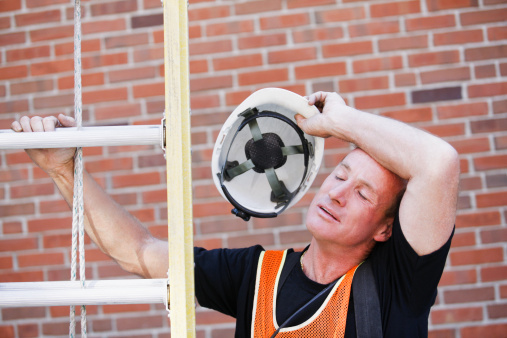 When workers are hot and sweaty they need plenty of water to hydrate themselves to prevent heat stroke. In the military Commanders give orders for personnel to drink water when it is hot, and believe me, you have to drink the whole bottle. I have taken this one step further by handing out freezes or ice cream to workers when it is very hot. I am amazed at the reaction I get each time. Most of the time I am greeted by a very big smile with many thanks with much appreciation. Something as simple as a Mr. Freeze or ice cream can give your workers confidence that you really care about their psychosocial state, which is a very inexpensive investment on your bottom line gains. Make it fun, wear a bell or a goofy had and watch the results of a simple approach to heat stress! Posted on August 22, 2013, in Work, workplace safety and tagged bottom line, heat stress, heat stroke, hot, productive worker, psychosocial. Bookmark the permalink. 4 Comments. Although we work inside within a printing company, I have several times brought in ice cream cones/sandwiches for everyone during the summertime as a treat – pretty well received. Sometimes it is the little things that people remember the most! I love this post! My Dad works outside and I would love it if his bosses showed up with ice cream or Mr. Freezes for him on the hot days. It really can get miserable out there working in the heat all day.